There have now been four forays into the wood to clear the Holm (or Holly) Oaks. It’s possible that there are so many as there was a very large one on Monclar Rd for many years and it is likely that squirrels and Jays transported the acorns over to the wood. These trees are considered invasive and we were advised to clear them to open up some light and to allow the herb layer to flourish. Here are some clips of the wood after the first foray. You can see how much light and space has opened up and there is a real sense of the wood having space to breathe again. The BBC have a report about the invasiveness of Holm Oaks. 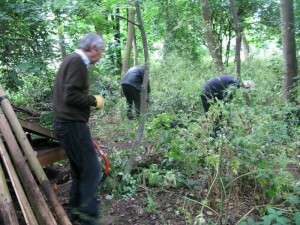 We will need to keep cutting off any twigs that re-sprout from the trunks to try and prevent the trees from re-growing. We stacked the resulting logs and leaves to form habitats for insects and mammals. 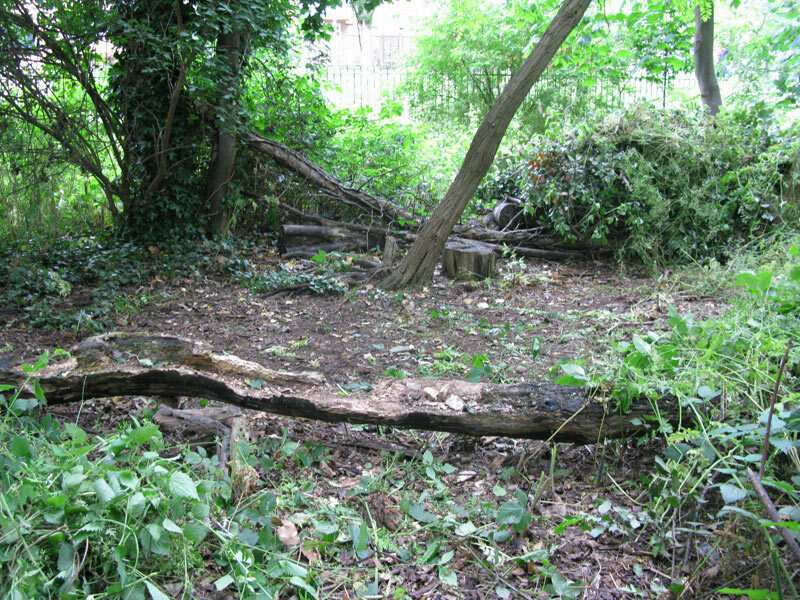 It would be fantastic to see hedgehogs living in the wood! After four visits to the woods to remove the smaller oaks, this is what it looked like. You can see how much light and space has been opened up. 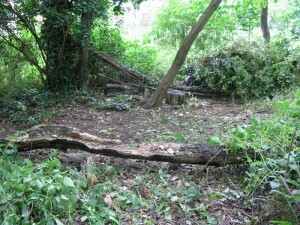 You can also see the piles of branches and leaves made up of the cut trees.